A wedding is one of those occasions that are filled with key moments that should never be forgotten. Pure Cinema believes that the only way to truly capture all of them and be able to relive them is through one of their artistic films. The members of this team of San Diego wedding videographers all have unique styles and personalities but all share a passion for creating something beautiful. 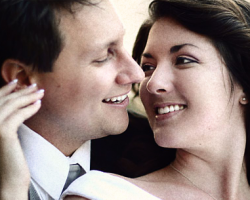 By hiring them to shoot your wedding you will be guaranteeing you will forever have each special second of it. 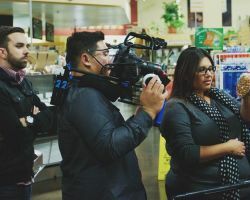 Nobody intuitively understands the importance of a well-filmed wedding video more than a happily married husband and wife team. David and Holly Hepburn have years of experience and a passion for anything creative, which has helped them develop into the top cinematography team they are today. They are completely flexible, willing to travel anywhere in the world, and so are their packages which are not only affordable but are also completely customizable. This means that this couple can cover your whole wedding day and fit your budget at the same time. Some wedding videographers come to a wedding and take over. ZG Productions is famous for great communication and making sure the wedding film that they create suits the couple perfectly. They mainly rely on word-of-mouth references so, as can be expected their reviews are glowing with recommendation. 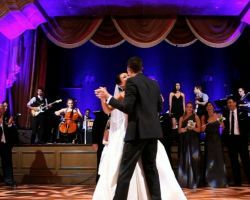 Their team of videographers is devoted to providing comprehensive coverage of the entire celebration while keeping the prices low. ZG Productions always produces work that is deeply emotional and something to be cherished. 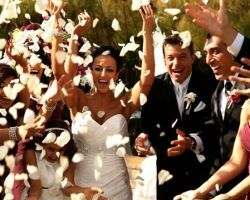 When searching through the many wedding videographers of San Diego, CA, it quickly becomes apparent that not all of them care as much as they should. At Classic Filmworks each of their talented videographers puts their heart and soul into every film they make. In addition, they have a huge list of options that all guarantee the very best service throughout California. Instead of the usual posed scenes that most videographers try to get, this team works without interrupting the day. This enables the couple to have the perfect wedding day film. 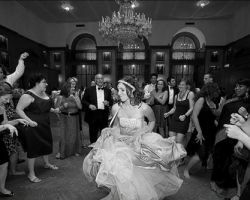 The expert videography team of Doug Reynolds Video Productions is passionate not just about filming your wedding but every single aspect of it. They believe that this enables them to get a clear idea of how to best film every important moment. This is shown in their supplied list of preferred vendors, with recommendations to help your wedding day go as smoothly as possible. Add to this their great rates and outlined packages and this company is a perfect choice. Finding a truly talented wedding videographer with such passion as Darryl Lee and is reasonably priced is almost impossible. At Epic Affair, Darryl has been working to provide the highest quality services for every couple celebrating their big day. He makes sure his team blends into the background so there won’t be any distractions and nothing will intrude on your day being as natural as possible. One other service that Darryl provides is a form of interactive editing. Tell him the style you want and that is exactly how the film will look. The team at My San Diego Wedding Videographer has an amazing eye for creative shots. There are no rivals anywhere in California for the creativity and technical knowledge of these professionals. The reason this team has developed their skills to such a high level is due to the sense of honor that they feel being able to work with each and every couple. Their small team means they are able to provide that personal touch whilst giving each couple access to the greatest amount of talent.